April, 9, 2018. The sale features an important range of Irish banknkotes, including Part 2 of the Anthony Lenny date collection of 10 Shilling Notes. 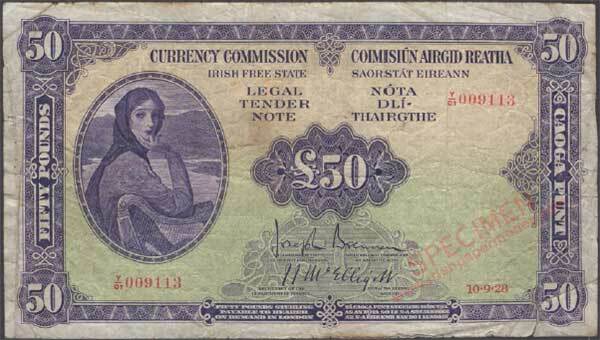 DNW, London have a nice offering of Irish notes in their April auction. There are a lot of very nice grade Irish Free State notes, and ETO war code notes in this second part of the 10 Shilling note collection. It is an exceptional collection, in terms of the overal grade of the notes, and the scope it covers. 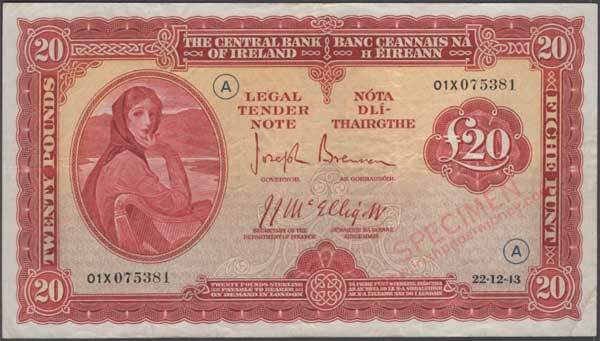 This sale features a broad range of Irish banknotes, including several very rare Notes. The highlight of the Irish banknote offerings is the Provincial Bank of Ireland £10 Ploughman note number 01PT 000001. This is a note of the highest rarity despite its lower grade. Lot 208. Estimated at £7,000-£9,000, it will be interesting to see what it fetches on the day. 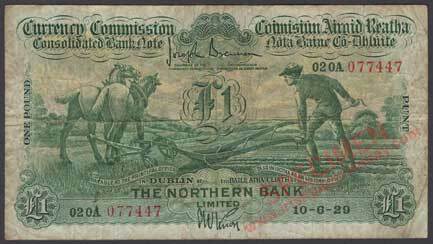 A decent range of other Ploughman notes are also on offer, including a Northern Bank £1 note, dated 10.6.29 with Knox signature, one of the rarest issues of the series. Lot 205. Estimate: £2,800-£3,200. 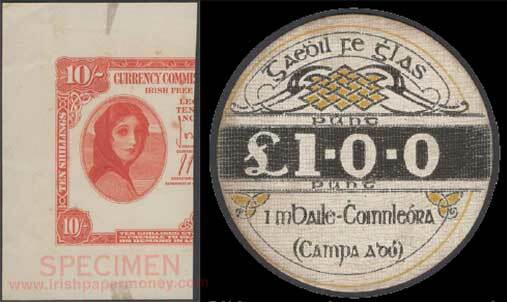 In addition to the two rare Ploughman notes, there is a nice range of Lavery banknotes which include several £50 and £100 notes of Type 6 with Brennan McElligott signatures. The Fifty Pound notes of this signature combination are less commonly offered. There is also an attractive partial proof of the Series B £20 note. 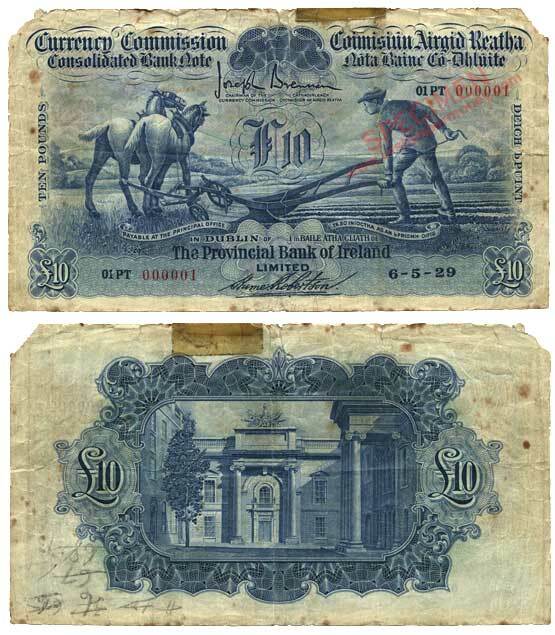 There are quite a few scarce notes on offer among the world notes also. A highlight would be Lot 1002, South African Reserve Bank, £100, 8 September 1933, a very rare note with an estimate of £3,000-£4,000 in VG grade. Thursday 28 March 2019. British and Irish Banknotes. Some great notes in this auction. Nice to see some significant Irish rarities up for sale.